Vend point-of-sale software includes inventory management, ecommerce and customer loyalty for iPad, Mac and PC. Easily manage and build your business in the cloud. Vend offers merchants a payment solution they can work with from anywhere. It offers all the tools you need to run your business. Log in and work from anywhere – Vend is cloud-based. Vend works on Mac, PC, iPad and Android. All you need is a web browser. Sell online and offline. Vend continues to work even if your internet connection doesn’t. Keep your hardware. Vend often works with the barcode scanners, cash drawers and receipt printers you own. Powerful inventory management that simplifies purchase orders, transfers and stock-takes. Your data is safe. Vend uses the same technology your bank does to keep your data updated and secure. Keep track of your customers with flexible organizing and reporting tools. Vend is completely portable. Use it with your iPad. Your dashboard gives you an instant snapshot of sales and products across all your locations. 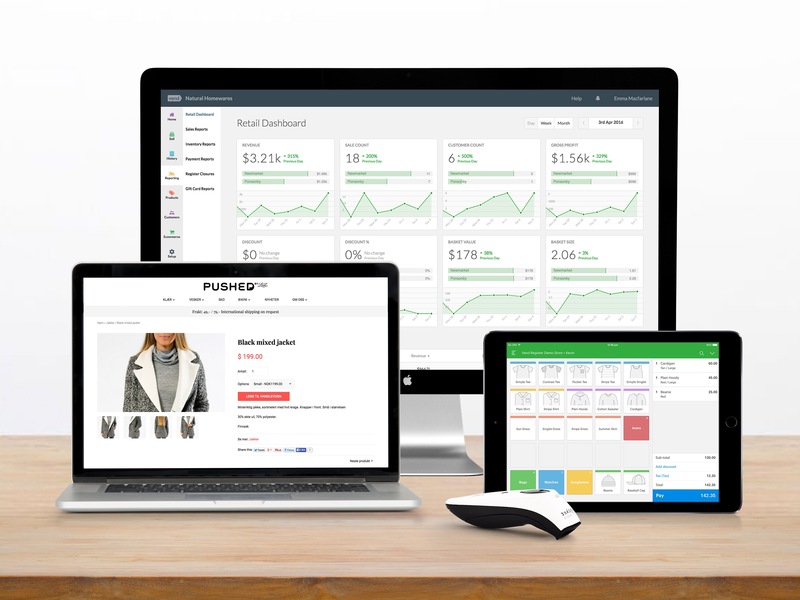 Vend integrates with Xero online accounting software and Shopify hosted e-commerce.